Limes contain a rich supply of vitamins and minerals and d-limonene found in citrus oils! 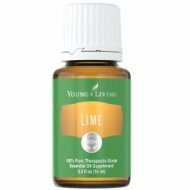 My favorite oil that contains Lime is Stress Away. There really tons of benefits of lime. Read below for more information on how to use it and what to use it for. This section will also provide you with some fun suggestions, safety precautions for you and your pet! As I receive new tips for Lime Essential Oil they will be added to the page, so check back frequently! Want to Purchase Lime Essential Oil? To purchase Lime Oil, go to The Oil Shop! Where did the Name come From? From the Arabic word lima. Did you know that the British Sailors used Lemons and Limes to Maintain Health? Yes than later it was learned that lemons had more Vitamin C than limes so that lemons. What are the Plant Properties? Relaxing and centering. What is the Aromatic Affect on the Mind? It is very uplifting to the body and mind. Very light and improves concentration. What is the Spiritual Influence? Lime essential oil help to relieve irritation, worry and stress that creates unhappiness. It also helps ground the body by pulling the energies inward and centering an individual—this is why it is so useful for stress and fear--you cannot leave your body. It promotes sureness of self by cleansing the aura and releasing negativity in the mind; and facilitating the opening of the solar plexus and heart chakras where much of our personal power is held. I also get that lime can help to release cellular memory of shock especially in terms of accidents. Use for horse or riding accidents; and car accidents for sure. What Chakra is Affected? Opens the solar plexus and heart centers. Interested in Dietary Lime for Your Culinary Adventures? Or to Use as a Dietary Supplement? 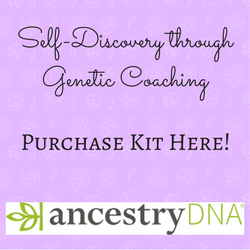 Then check out Lime Vitality Essential Oil! Can this Oil be used for Animals? Yes, I like to use it for emotional release in Stress Away Oil. Note about Animal Use: Certain oils can be very toxic to cats particulary those that are not therapeutic grade. Please consult your vet if you are not sure about applying any essential oil to your pet. Because it is approved as a Food Additive (FA) and Flavoring Agent (FL) by the FDA, Lime Oil is readily available on the market in many different qualities.